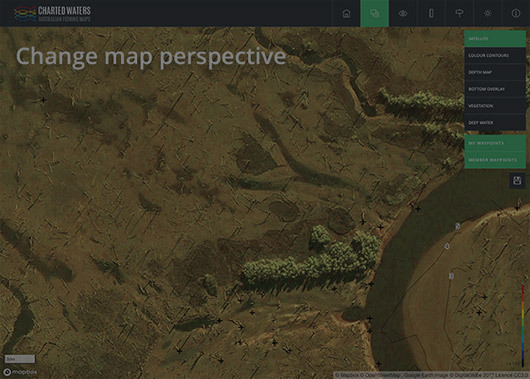 Favouriting a map brings that map to the top of the list for easy access. 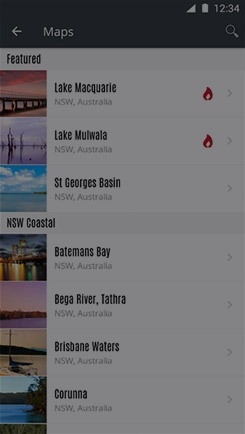 Save Charted Waters maps for offline access, so you can find great fishing spots even when you're off the grid. 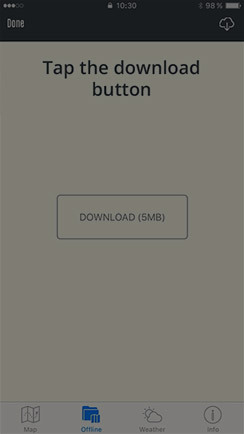 Tap the 'Offline' tab, then the ‘Download’ button. 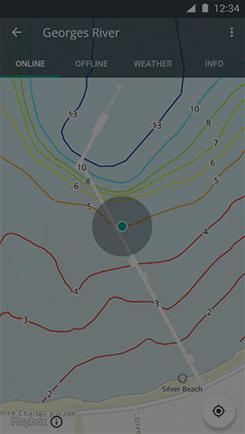 Once the download is complete the map will be displayed on screen. 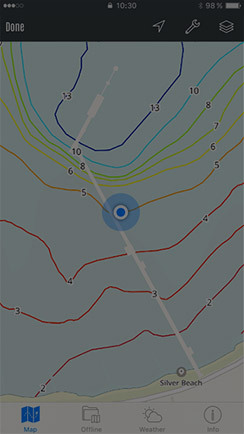 Turn map layers on and off, having multiple options gives you the advantage. 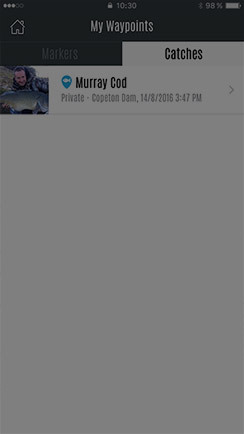 You have the option to toggle fullscreen mode on & off. 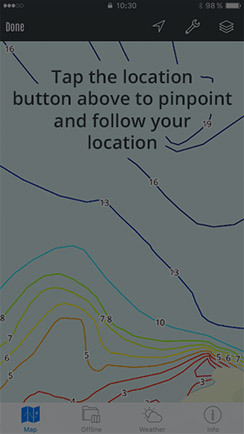 There are 3 options for location tracking... no follow, follow and follow with heading. 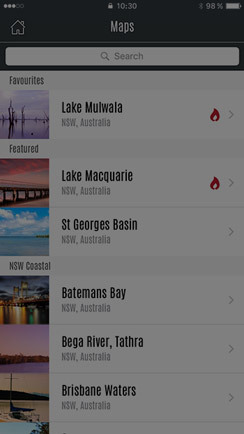 Tap the location icon to cycle through the available options. The map always starts north up. 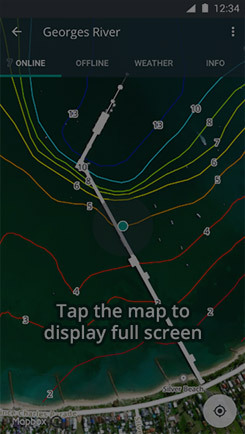 Temporary waypoints are displayed on the map as a red marker, they are useful to quickly navigate between locations or for fishing spots to explore. They are not stored permanently. 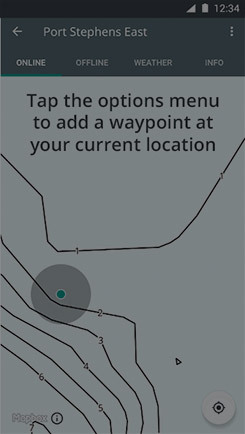 Touch-and-hold on the map or right-click in the web app at the location where the Temporary Waypoint should be created. 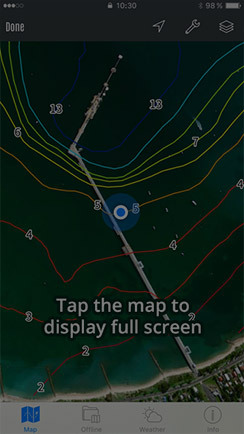 Tap the ‘Temporary Waypoint’ marker to display distance, speed and estimated time to the marker (device only, the web app will display the waypoint co-ordinates only). 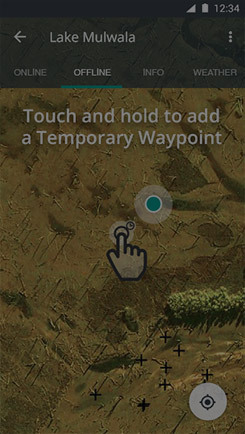 To save the ‘Temporary Waypoint’ tap on the waypoint panel and select save. 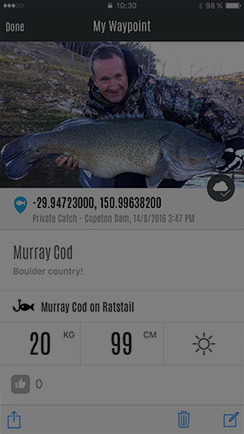 Got a hit or caught a fish, mark it on the map by adding a waypoint at your location. 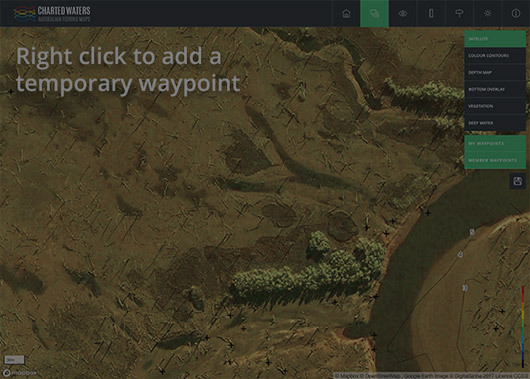 By default all waypoints are saved to your device, however you can sync the waypoint to your account to view on all devices. 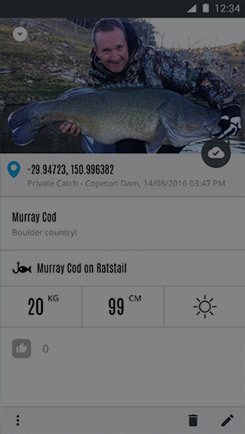 Why not share your catch with other Charted Waters members! 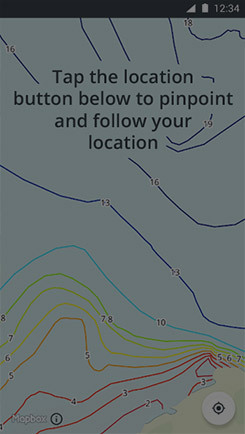 You can choose to share your location or keep it a secret. 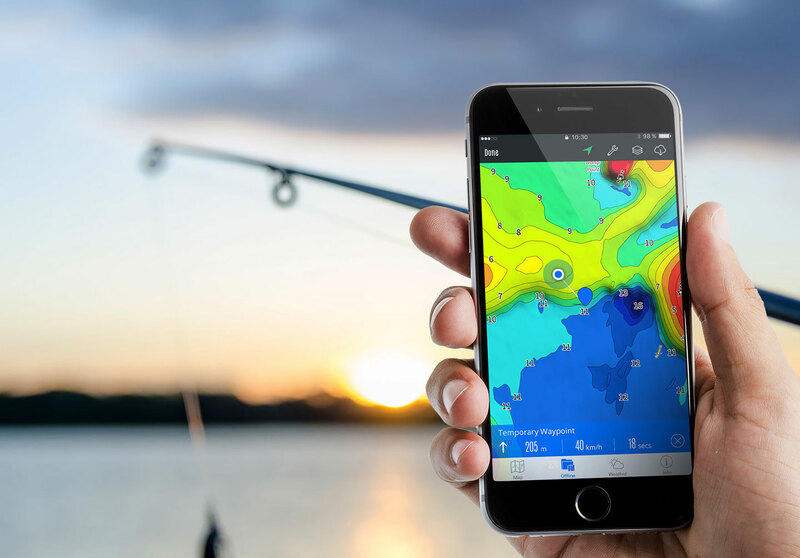 The web app provides a few extra features to help you plan your next fishing trip. 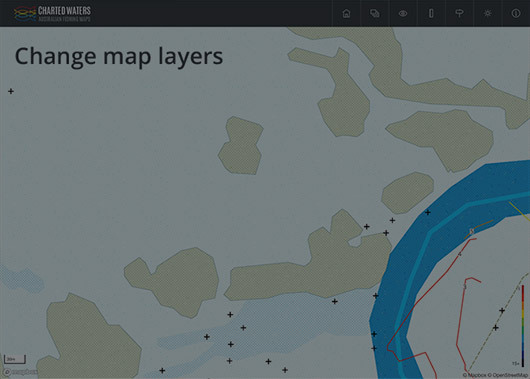 Change map layers by turning map features on and off. 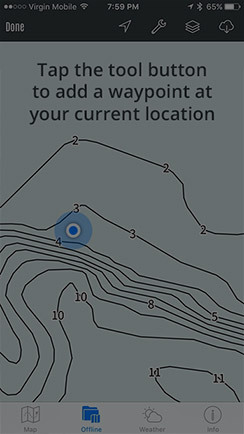 Temporary waypoints are useful to mark fishing spots to explore. 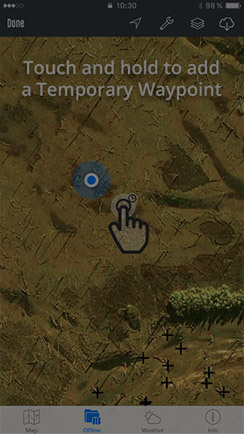 To save the ‘Temporary Waypoint’ click the save button. 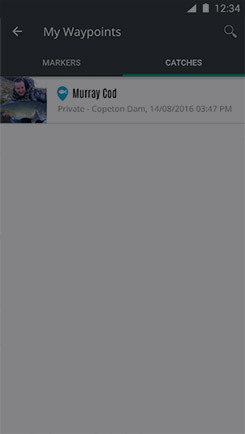 This will sync the waypoint to your account allowing you to view it on your device and whilst on the water. 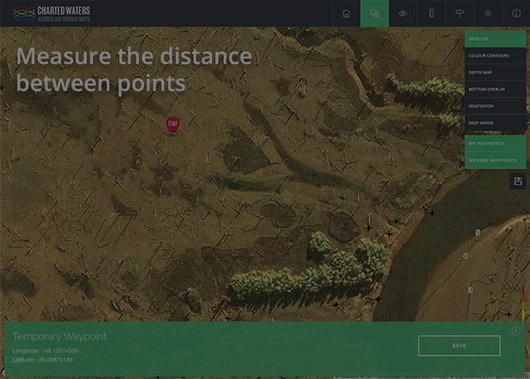 A handy tool to calculate how far you need to travel to reach a point.